If you are a fan of the fictional TV character, Dr Martin, you may well recognise the picture on the right. 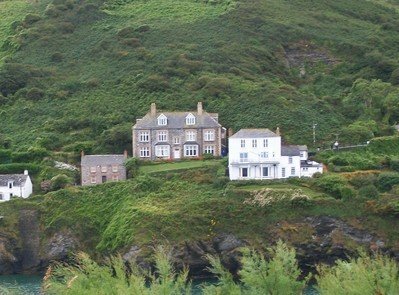 It is the home of Dr Martin – actually a house on the hillside in the Cornish coastal village of Port Isaac. However, you will never have seen this particular picture before. That’s because I took it when I was down in Cornwall a couple of years ago. It is not the best picture in the world, but at least it is original. Now, if you are a Dr Martin fan you may well wish to share the picture; feel free. In fact you are more likely to share this picture than this blog post. That’s because new research shows that pictures are the most frequently shared online items. Indeed, they are shared more than three times more frequently than videos, which are amongst the least shared parts of content. Who said video was important? The study, which admittedly focused on sharing from news websites, found that six out of ten people regularly shared web content using social media. However, it was pictures and links to articles that were the most commonly spread. For several years now, web experts have been telling us to provide original content as that is most likely to gain us search engine visibility as well as social media activity. However, much of that advice has been about writing articles. Now, whilst they do get shared, it turns out that having pictures is potentially more important. Many website pictures, though, are not original – they are from stock libraries, like many of the pictures on my website. That means they are less likely to be shared. Perhaps it is time to start engaging professional photographers to produce original content for your website?